The development of high performance wheelchairs and wheelchair simulators requires dynamic models taking into account the properties of tires. 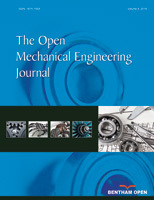 In this paper the properties of two wheelchair tires are measured by means of a rotating disc testing machine and are compared with the properties of bicycle tires, which have similar dimensions and structure. Tests are carried out considering variations in speed, inflation pressure and load. The possibility of fitting experimental results with the Magic Formula, the Dugoff formula and a linear model is discussed. A dynamic model of a wheelchair is developed, which includes a linear tire model derived from experimental results. Steady turning and slalom manoeuvres are simulated. Numerical results show the effect of tire properties on the handling characteristics of the wheelchair. Keywords: Tire, Wheelchair, Handling, Rotating disc testing machine, Linear tire model. * Address correspondence to this author at the Department of Industrial Engineering, University of Padova, Via Venezia 1, 35131, Padova, Italy; Tel: +39 0498276803; Fax: +39 049 8277599; E-mail: alberto.doria@unipd.it.